We are starting to get to the cream of the MLB crop now! As you'll see with most of the remaining teams, I have a thing for underdogs, feel good stories, and of course, my Reds. Today's team, however, doesn't exactly fit any of those reasons as to why they are ranked inside my top 10. Who is the next team? Now, this may seem like a surprise to you...and truthfully, I was surprised when I sat down and put pen to paper in making my rankings. In fact, I would say that I don't even necessary like the current White Sox so much as I like what the White Sox still represent to me in my head. To me, the White Sox are Frank Thomas. 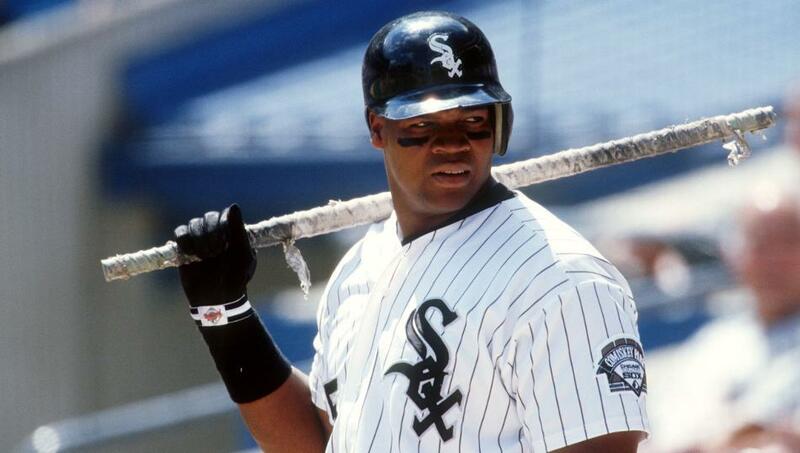 Sure, there are plenty of other good players that have made their way through Chicago, but Frank Thomas is a childhood favorite of mine and I definitely associate him with the White Sox more than any other club. Fun fact about me: I have a small personal collection of Frank Thomas cards. In fact, there is a pool of about 10 or so non-Reds for whom I have small personal collections. I don't generally talk about, advertise, or even actively seek out cards of those players but when they happen to come into my possession they are instant keepers. Thomas fits that bill, and for that reason, the White Sox sit inside the Top 10 of my rankings. Also, it doesn't hurt that I saw a ballgame once at their ballpark...but I will say, it was by far the most boring Major League Baseball game that I ever saw live. Their ballpark doesn't impress me. It opened the season before Camden Yards did, which is the ballpark that really ignited the "let's make ballparks cool and retro-esque." I love me some Big Hurt though! Glad to see the "other" Chicago team getting some love! Yeah... the first person I think of when I hear White Sox is The Big Hurt.